Check out the latest best deals on hotels and attractions on TripAdvisor. Dial 7 Car Service in New York City provided our family complimentary transportation from JFK to our hotel. This is our unbiased experience with this car service. You’ve gotten off the plane. 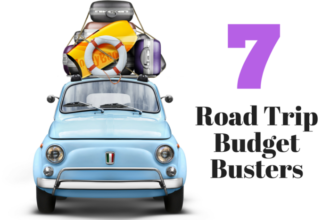 You’ve got one suitcase per kid, plus a few more being lugged by you & your spouse. You might even have a stroller and a car seat . You know your hotel rooms are awaiting just blocks from Time Square. How will you get there? 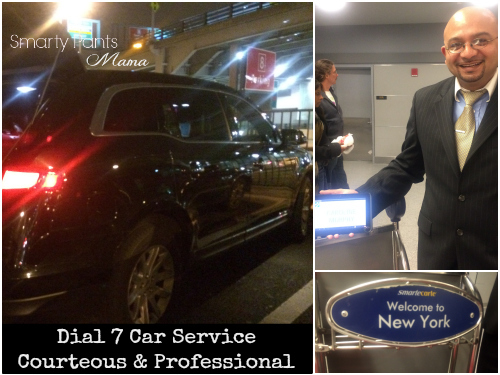 During our most recent trip to New York City (#MIA2NYC) we used Dial 7 Car Service to drive our family of 4 from JFK to the Benjamin Hotel in Midtown Manhattan. The locals know Dial 7 with its easy 212-777-777 phone number. It’s the go-to service for getting to/from the airports and beyond. When traveling with the family I knew we needed reliable transportation that could get us safely to our hotel. We were arriving at night. We were arriving during a very cold week. Hailing cabs or using public transportation wouldn’t be a smart choice. As we arrived in baggage claim a Dial 7 driver greeted us. He had a cart ready and was set to assist with our loads of luggage. Within minutes Paul was hauling our bags onto the cart as I tried to calm my toddler who was in the midst of a full on “over exhausted” temper tantrum. The sedan, actually a beautiful Lincoln MKT crossover, was spacious and clean. Paul provided us with bottled water and the password to the in-car wifi. Great perk! We each sat comfortably and began our drive into Manhattan. I felt very safe with Paul’s driving. We learned that Dial 7 drivers personally own their cars. For this reason, the drivers take great pride in maintaining them clean and in tip-top condition. They are interested in not getting any dents or scratches. This is a sharp difference with the typical yellow cab you see swerving around the streets of Manhattan. The entire Dial 7 fleet is inspected in-house 2xs a week to be sure that the vehicles are also performing optimally. Dial 7 in Action! Listen to my words & my toddler’s screams! The service Dial 7 & Paul provided was personal and professional. Paul genuinely was interested in assisting us and making our ride as comfortable as possible. 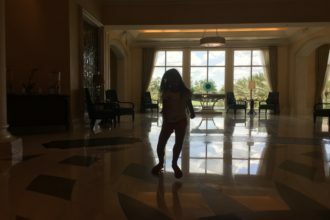 As two very tired parents, with even more exhausted children in tow, we needed to place the worry of getting to our hotel onto someone other than ourselves. Thank you to Dial 7 for accepting the task! Based on our experience, we highly recommend Dial 7 to families traveling to NYC. Their service is reliable and professional. The charge for Dial 7 is dependent on from where, to where and the number of passengers and the type of service you desire. Currently the rates range from $40-200. Check out the best deals on hotels in NYC. Sounds like a great service. Do they offer carseats or booster seats for kids or do you have to supply your own? Yes. For certain levels of service they offer car seats. We had them bring us a car seat for my youngest. They were wonderful. That sounds far more enjoyable than the yellow cabs! I get anxious just thinking about getting in one! This sounds like a great way to get around! It is! You can use them for getting in and around the city. Since NYC is one of my favorite places in the world this is great info. Thank you! I’ll be sure to check them out on my next visit. I’ve tried different car services when in NYC, but never this one. A personal review always sways me to try it – thanks for reminding me Dial7 is there! I’ve never heard of this service – what a great tip! Thanks for sharing! The car seat is a great bonus because it’s not always easy to find a car service that will provide that. Yes, it’s a HUGE bonus! Just be sure to let them know that you’ll need one when you book. You want to be sure that the car that the have reserved for you has one available. i’ve never heard of the service before but if I do go to NYC again I will consider using their service.